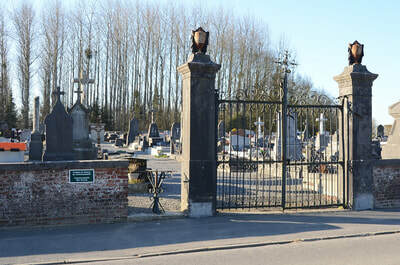 Dompierre-sur-Helpe is a small village in the nord region of France, The Communal Cemetery is located north of the village on the D124. 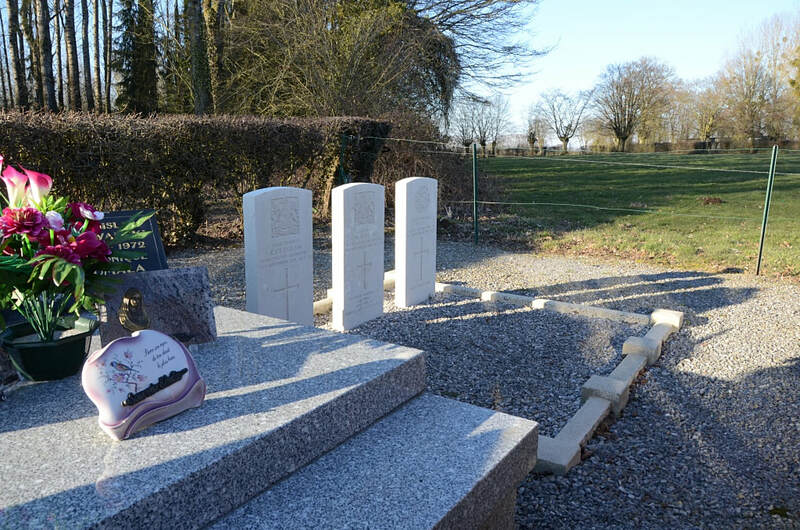 Captain J. W. Bell, 21st Bn. 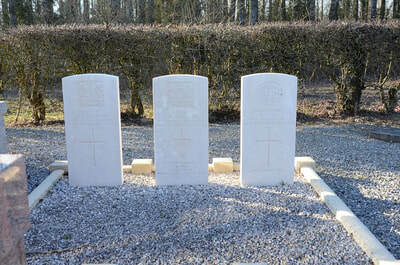 Manchester Regiment, died 7th November 1918, aged 32. 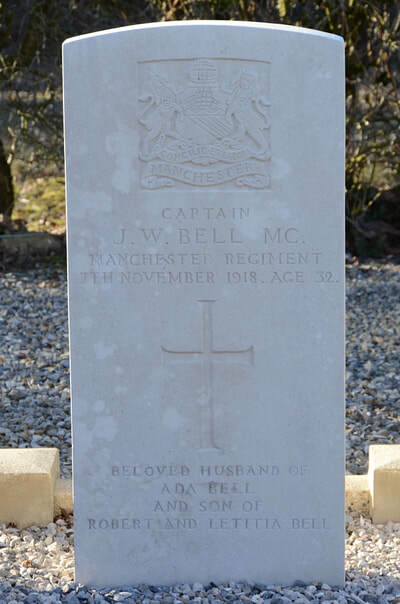 Son of Robert and Letitia Bell; husband of Ada Bell, of 188, Tonge Moor Rd., Bolton. 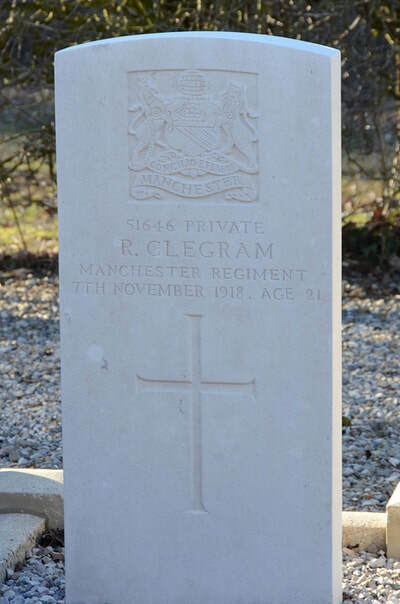 51646 Private Ralph Clegram, 21st Bn. Manchester Regiment, died 7th November 1918, aged 21. Son of the late John and Sarah A. Clegram of Otunstall Hill Farm, Sunderland. 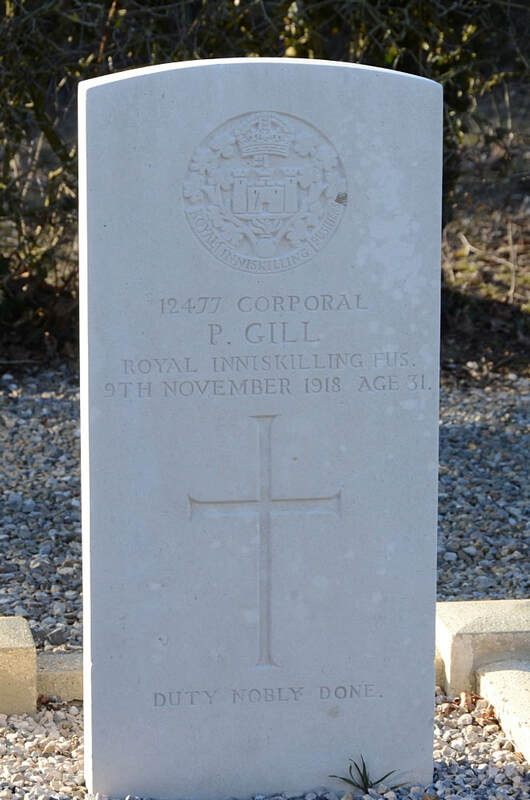 12477 Corporal P. Gill, 5th Bn. Royal Inniskilling Fusiliers, died 9th November 1918, aged 31. 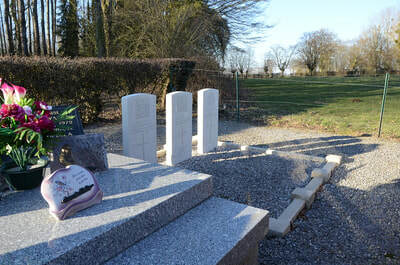 Son of William and Emma Gill, of 19, Graigside Avenue, West Derby, Liverpool.